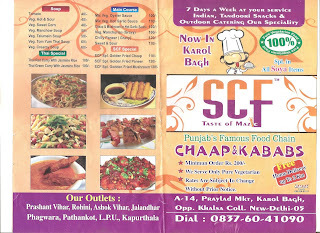 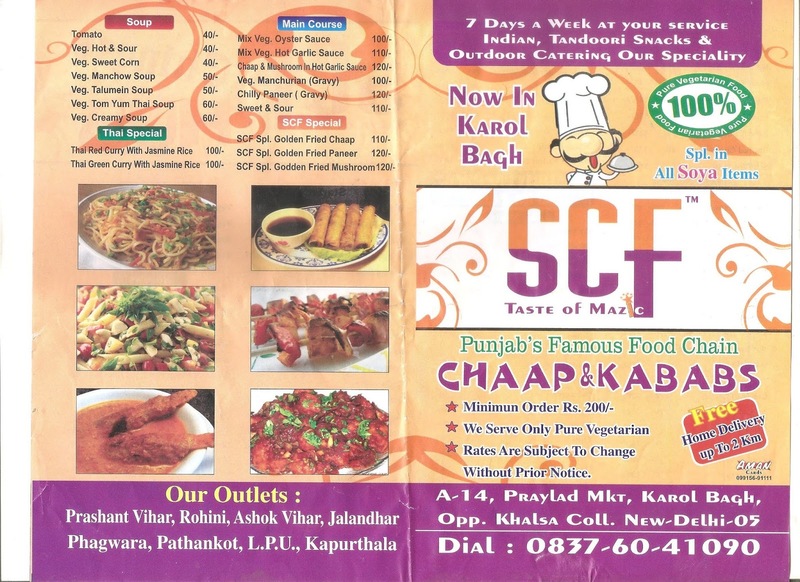 SCF is a nice vegetarian eatout in Karol Bagh. 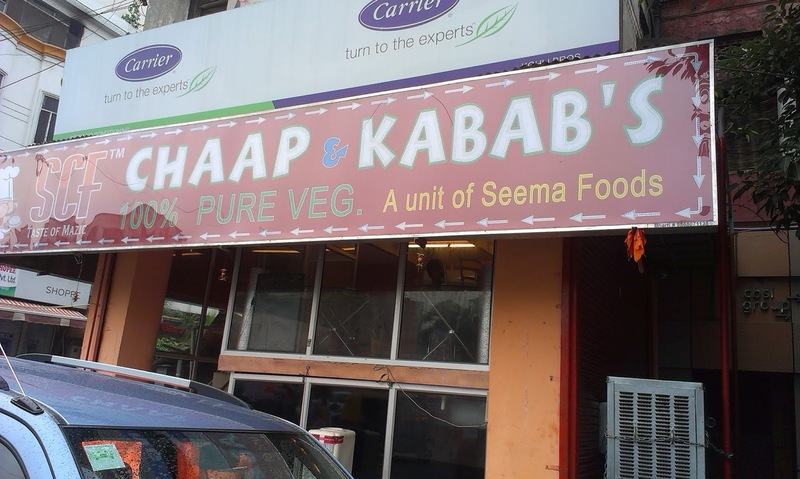 Apart, from Chaaps and Kebabs you can also have pasta's chinese over here. 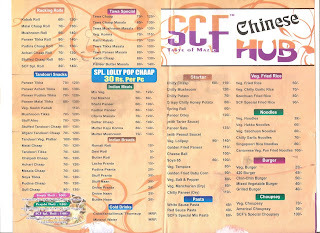 The food is nice but the only problem is with the sitting area. 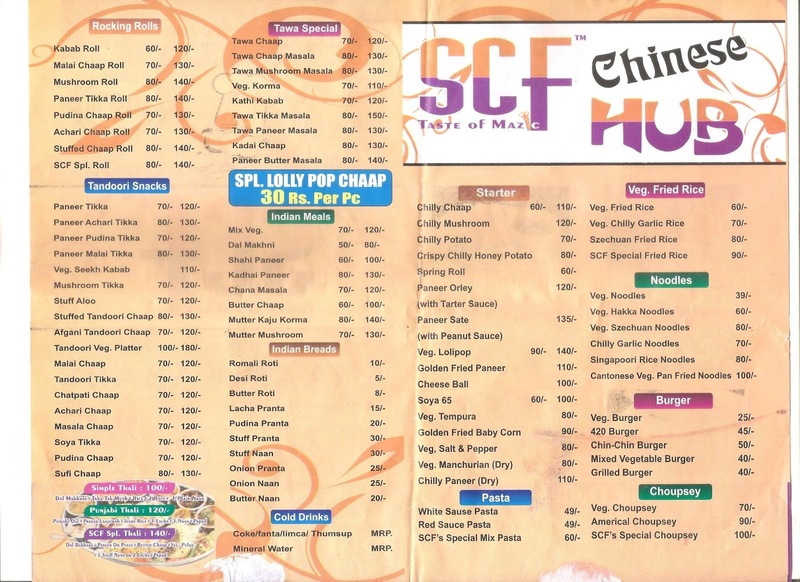 the sitting area is a little but congested due to shortage of space but the food here is nice. I have had Chaaps here they are good.